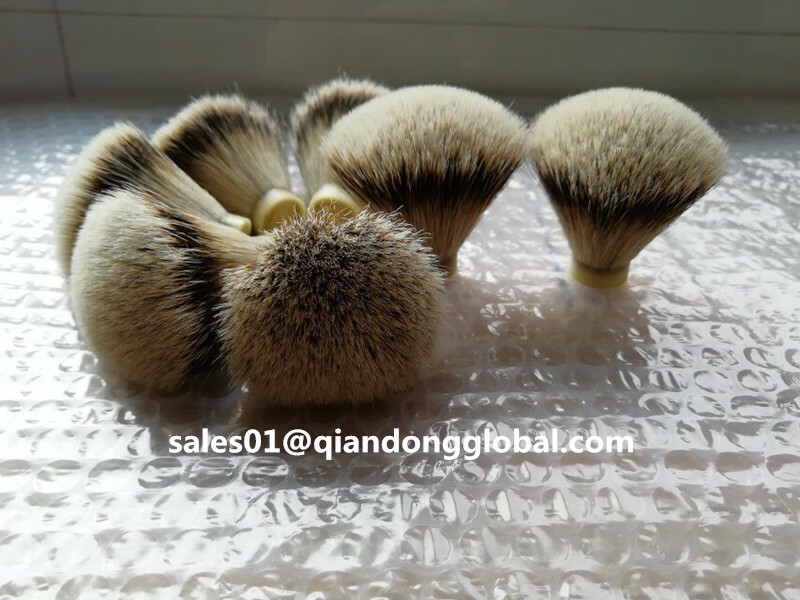 25mm Silvertip Badger Hair Shaving Brush Knot: Shijiazhuang Qiandong can provide the custom made Shaving Brush Knots for many years. We can make different size as customer's requirements. Usually the knots size is from 15mm-30mm. If you have special demand in the size, please tell me, I will solve for you. 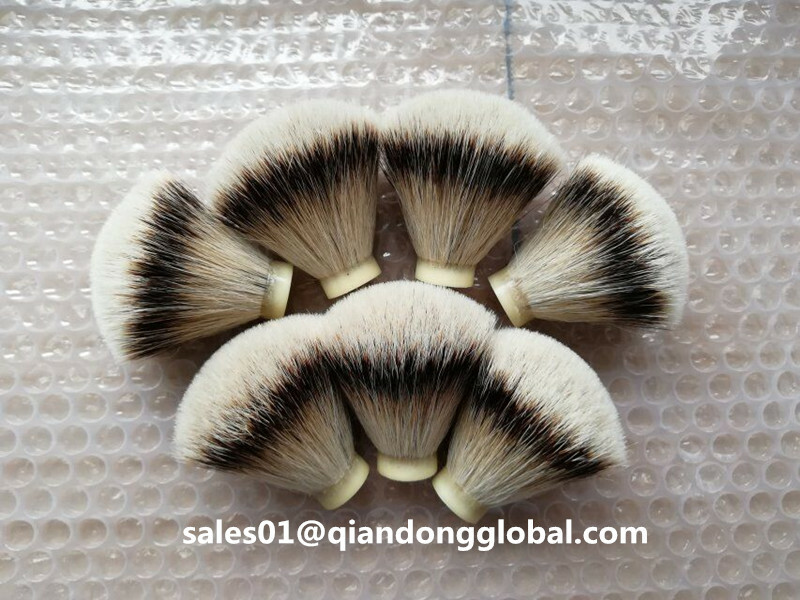 This shaving Brush Knot is fan shape Silvertip Badger Hair Knot. 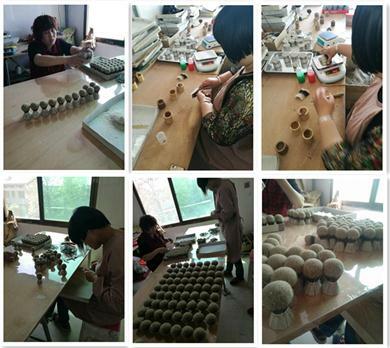 We can make fan shape Badger Hair Knots and bulb shape Badger Hair knots. Vey beautiful. 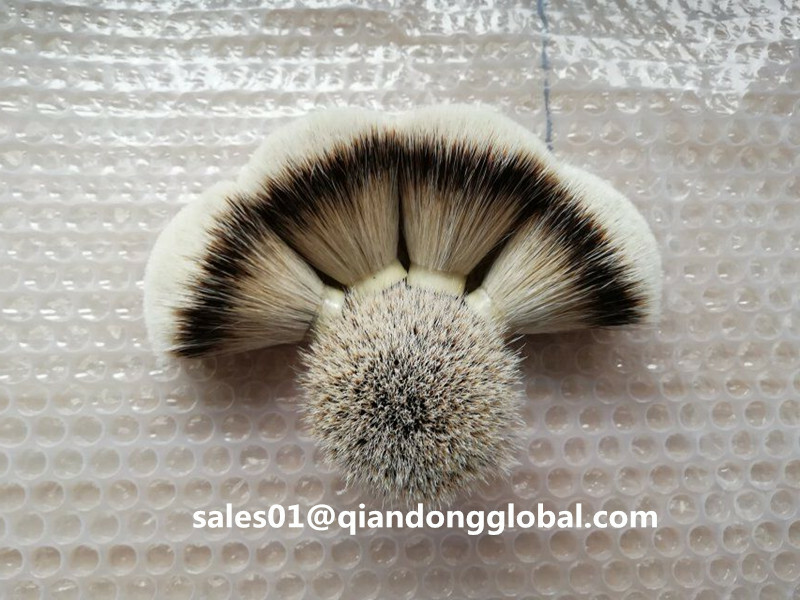 We use 100% high quality badger hair for make silvertip badger hair knots. 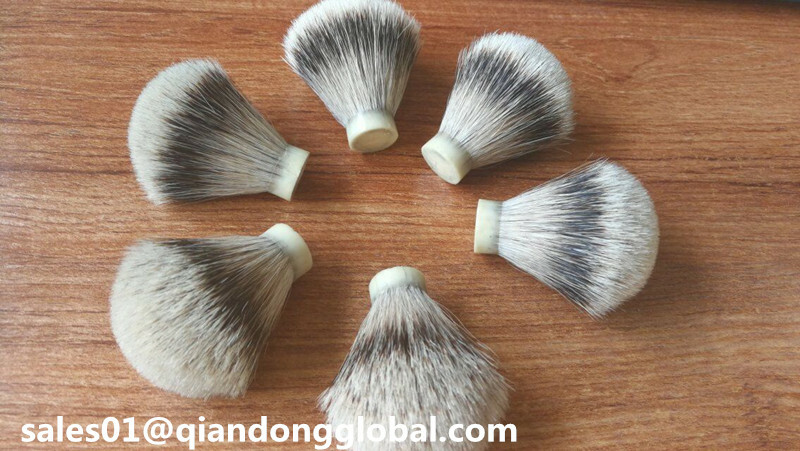 Besides the silvertip badger hair shaving brush knot, we also have manchurian Badger Hair Knot, high mountain white knots, finest badger hair knot etc. 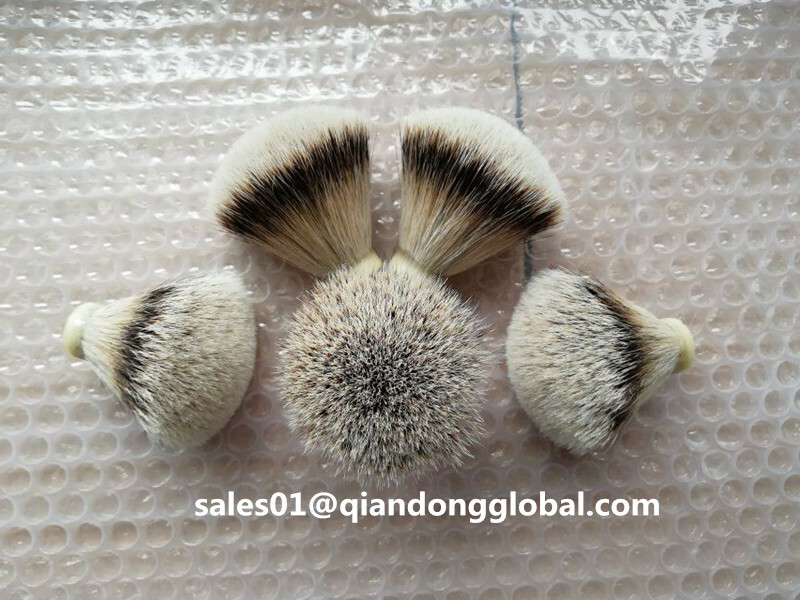 The different kind badger hair shaving brush knot have different price. Please tell me your demand, I will give you a best offer for sure. 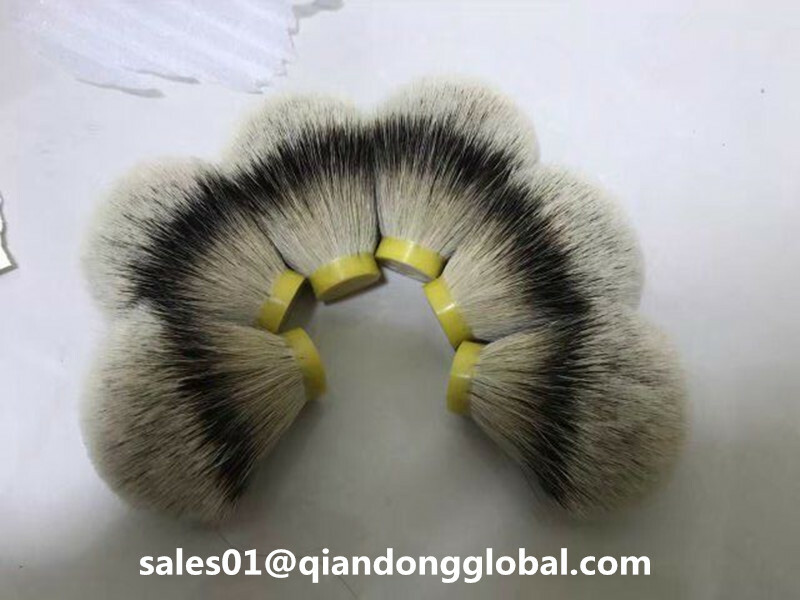 Looking for ideal Large Size Shaving Brush Knot Manufacturer & supplier ? We have a wide selection at great prices to help you get creative. 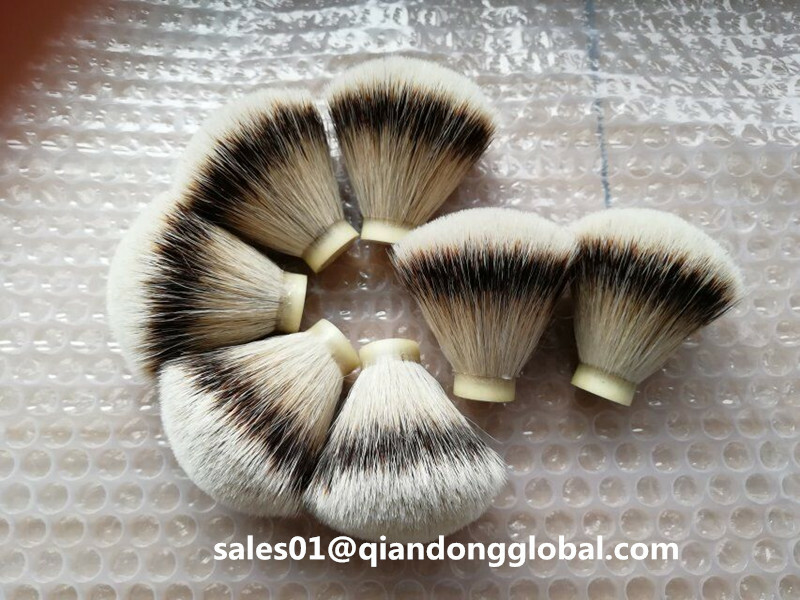 All the Large Size Silvertip Badger Hair Knot are quality guaranteed. We are China Origin Factory of Large Size Badger Hair Knot. If you have any question, please feel free to contact us.